All right, all right, all right! 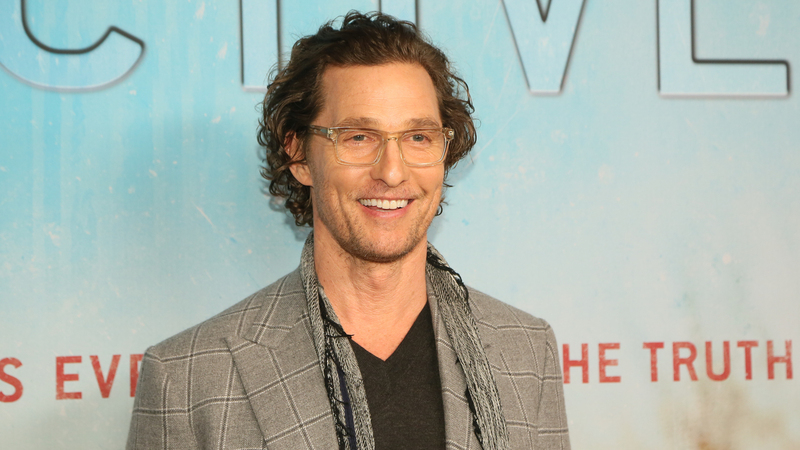 Is it just us, or does Matthew McConaughey seem like he’d be the chillest, most laid-back dad of all time? Case in point: On Monday, the actor and father of three told Ellen DeGeneres that his youngest son often has trouble using his words. No problem, though. McConaughey says a good old-fashioned family wrestling match works wonders. Don’t worry one bit about Livingston or his siblings, though. McConaughey was quick to reassure host DeGeneres that the only one getting bruised and banged up is him. “I’m the one who comes out of it with the bruises,” he laughed. McConaughey also once tossed his other son, Levi (then 6 months, now 10), to Alves to save the baby from a charging mountain ram. And you think we’re kidding. McConaughey and Alves also share a daughter, Vida, 9. We’re hoping everybody gets some time on the fam’s wrestling mat, because seriously, how great is that? We’re especially hoping Alves gets some special “wrestling time” after the kids are asleep. Um. Did we type that out loud? Extra cool points (like they need to rack up any more) for these two ridiculously photogenic, bongo-owning parents. They recently took Levi and some of his buddies to see Levi’s favorite band, BTS, in concert. Did the McConaughey squad have a good time? Has the McConaughey squad ever not had a good time? “We had a blast,” McConaughey told DeGeneres. “We got out of our seats. We got right down in the pit, and we broke a sweat dancing.” Of course they did.And did you know McConaughey could have been Jack in Titanic? We’re pretty sure Kate Winslet would have made room for him on the floating scrap of debris instead of letting him slip away into the Atlantic, but hey, maybe that’s just us. Sorry, Leo.